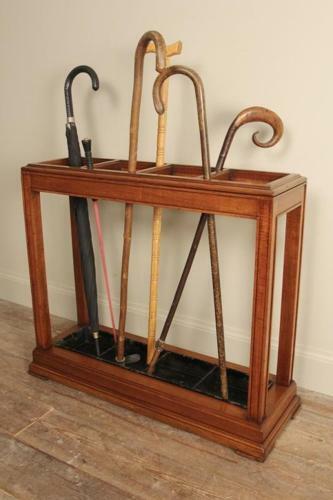 A stylish and clean lined Mahogany stick stand from the Edwardian period, circa 1910. Having good even colour and lustre with show wood to all sides. Firm standing in lovely original condition throughout.